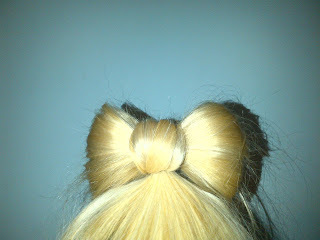 Emilyke: How to make a bow with your hair! 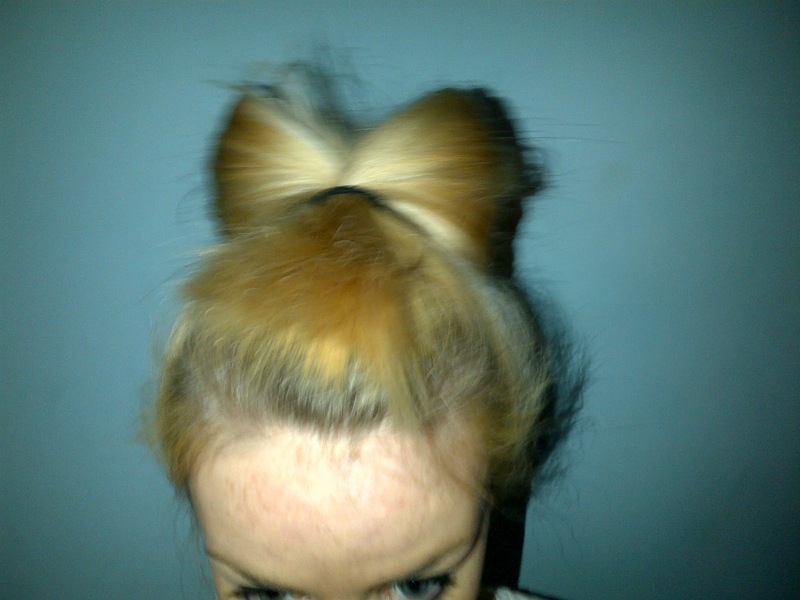 So I did a post the other day of an OOTN and got asked to do a tutorial on how to do a bow with your hair! I always thought this looked so hard and confusing until one day I saw a youtube video and it is SO simple! There probably are other ways of doing it which may be more confusing and may work better but this one is simple and it worked okay for me! 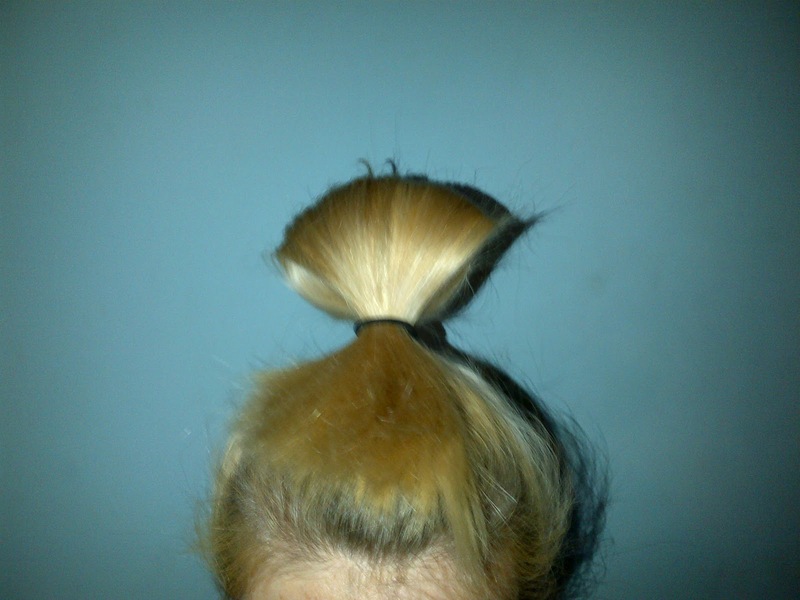 PS: please ignore my terrible terrible roots! 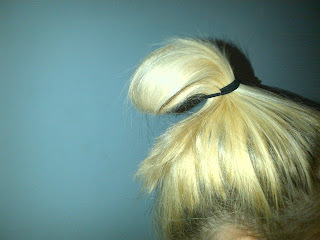 Then pull the long bit back between the two parts and clip it at the back! If you have short layers they won't reach the back and will ping out to the front so this might not work for you! Make sure you use lotssss of hairspray and if you need to, which I did, used a kirby grip on each side to hold the bow down. You will need lots of hair grips to hold to middle part back or it will ping forward which is definitely not a good look! So yeah as you can see this is really quite easy and definitely makes a change to the usual! I got so many compliments on it and I was just thinking 'hehe it really wasn't even hard', it's definitely one of those things that looks more special than it is haha! Hope you're all having a good weekend :) i'm going to peppa pig world tomorrow with my little sister, think i'm almost as excited as she is! Yey! I'm gonna give this a go tomorrow! :) Looks super easy! Love it! So cute. Now following. Now this is cute can't wait to try it out :) Thanks!!! !